Building transportation infrastructure-particularly projects owned by public agencies-demands complex leadership, management, specialized safety training and negotiation skills not required by general construction managers. That’s why the ARTBA Foundation created the “Transportation Builder Institute” (TBI). This first-of-its-kind industry institute includes educational academies and training programs designed exclusively to meet the professional development needs of transportation construction professionals. TBI consists of three different academies that are described below. Please contact ARTBA’s Allison Rose to learn more, and subscribe to the Washington Newsline to learn about upcoming academies. This intensive program, ideal for new or prospective project leaders, provides both substantive theory and practical application of project management principles for road and bridge building construction project managers. In an interactive setting, participants will learn from experts in the key disciplines that will make them better leaders and managers. 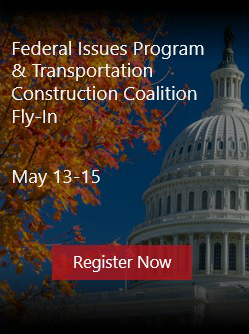 Topics are tailored to the needs of transportation contractors, not general construction. Professional Development Hours are also available. This two-and-a-half day, interactive professional development academy will provide a much more comprehensive overview of Construction Manager-General Contractor (CM/GC) and Design-Build (DB). The academy will dedicate significant time to providing a fundamental level of understanding about CMGC and DB. This Academy focuses on how to fully and effectively use Primavera Project Planner software (P6)-the transportation construction industry’s standard for project planning and scheduling to manage projects.